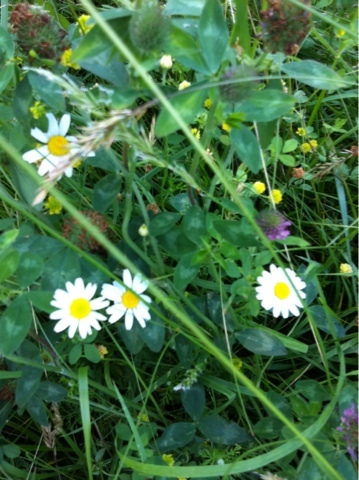 Some of what grows in our pastures is grass. Some of what grows is a mix of many things in just one square foot. 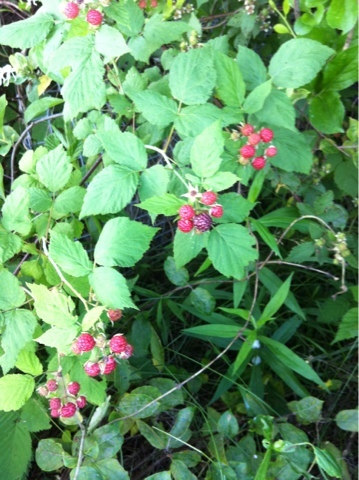 Some the farmers eat...the raspberries are just starting to ripen. These are not raspberries that can be transported as they don't stay together long after being pulled from the came. Best to stand and stuff straight into ones mouth.